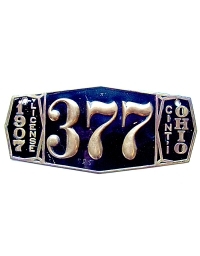 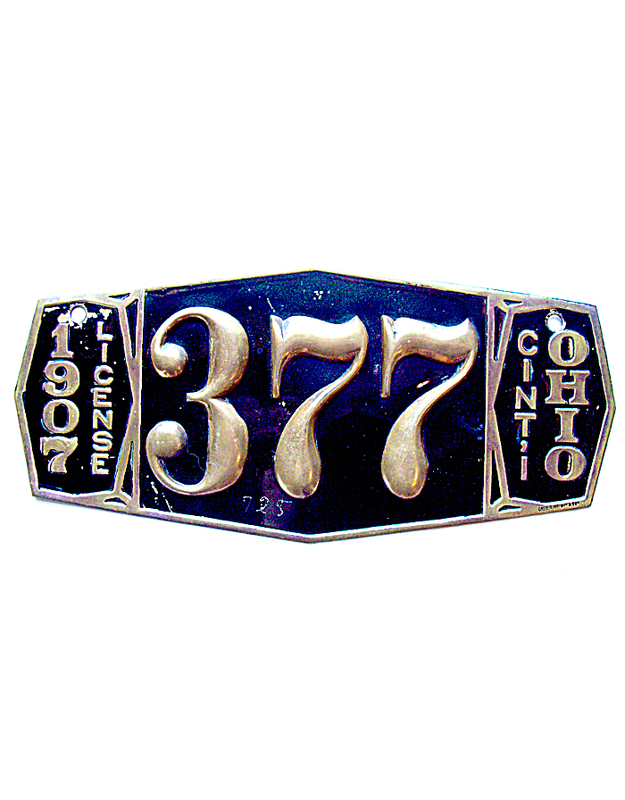 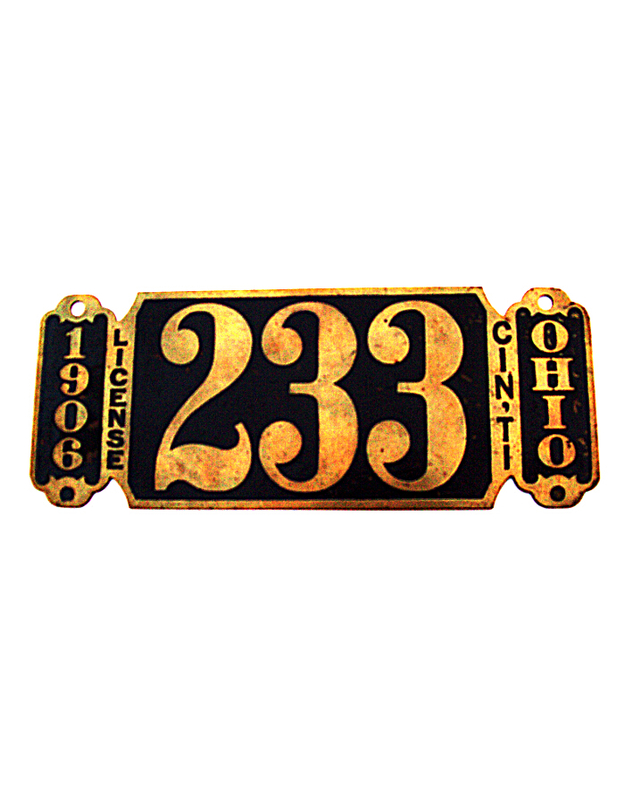 The State of Ohio first required statewide registration of motorcars in mid-1908, when an official license plate was issued. 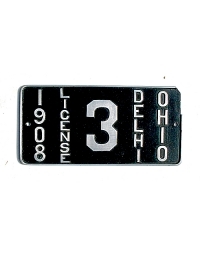 Thus, there are no Ohio state licenses in the pre-state era. 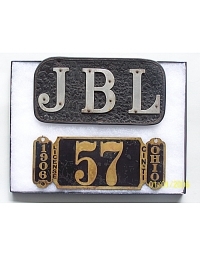 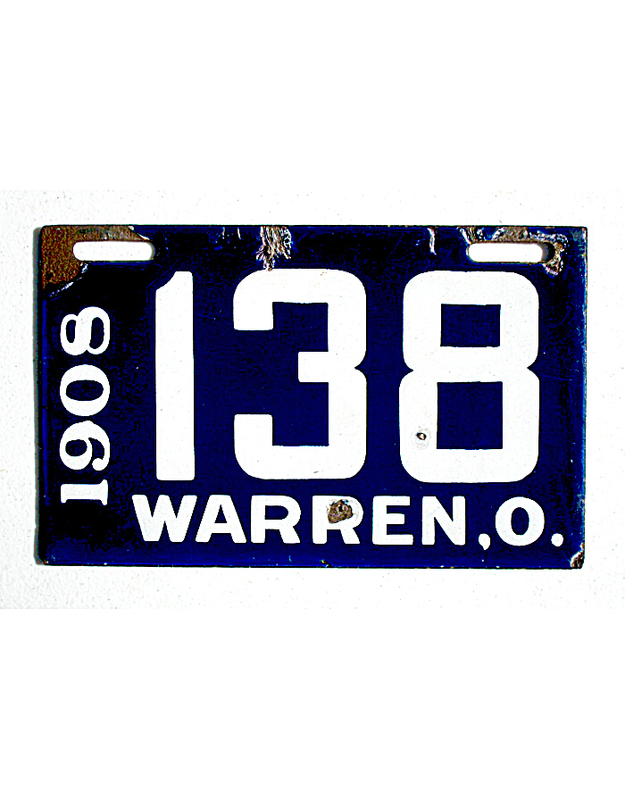 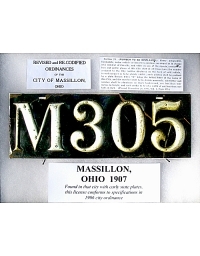 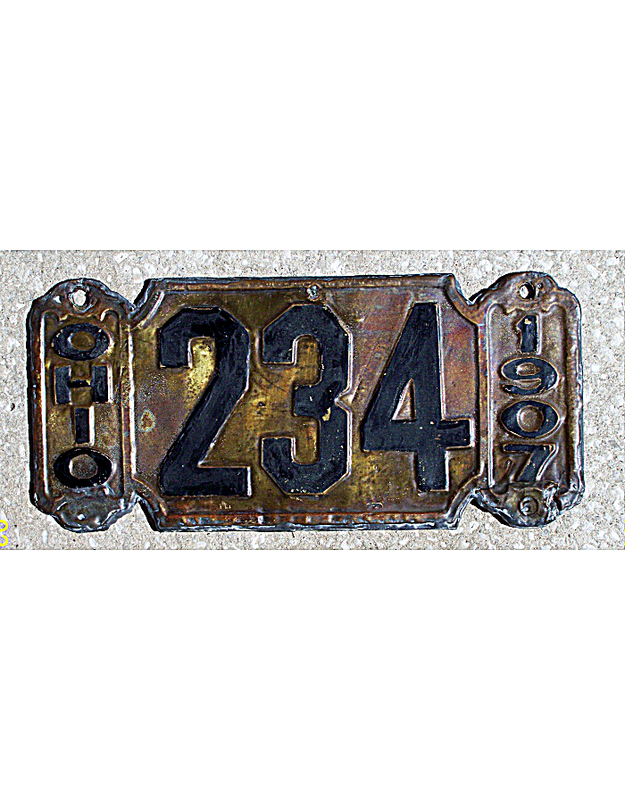 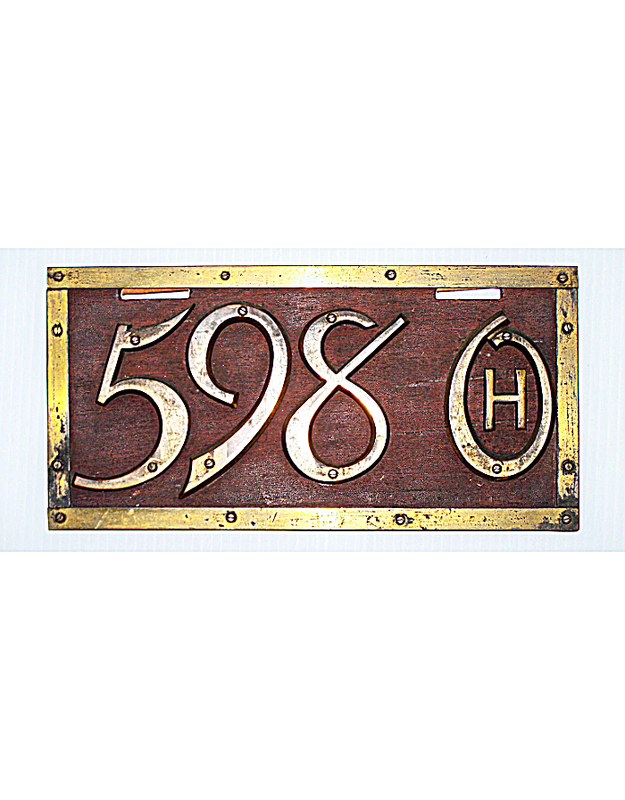 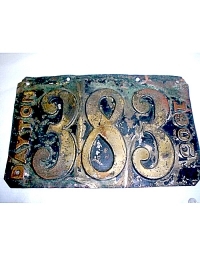 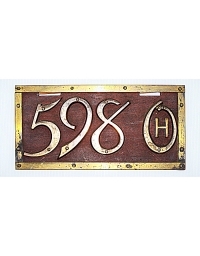 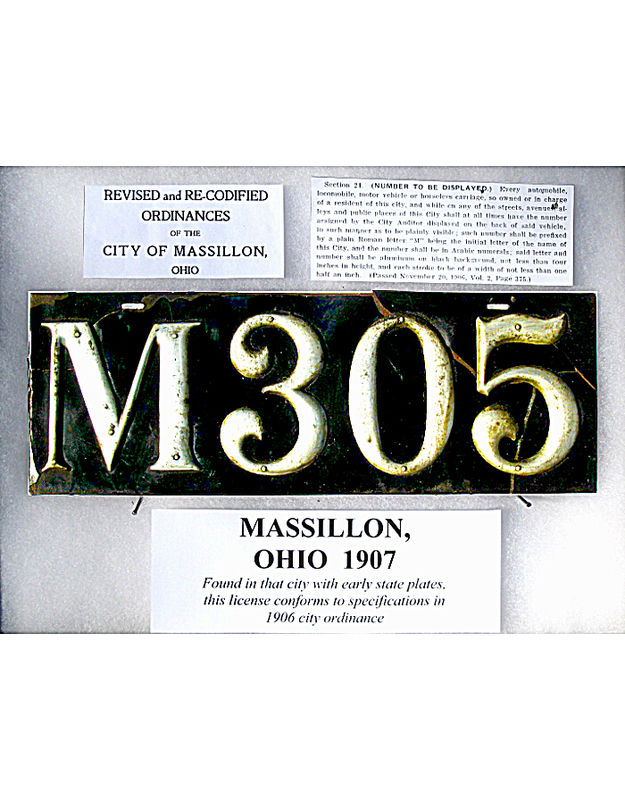 Several Ohio towns and cities did, however, use license plates in the years leading up to and including 1908. 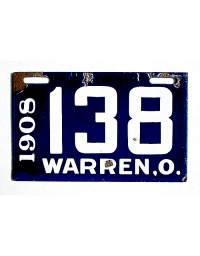 In fact, the state waived the requirement for auto owners to obtain state license plates until 1909 if their machines were registered with a municipality. 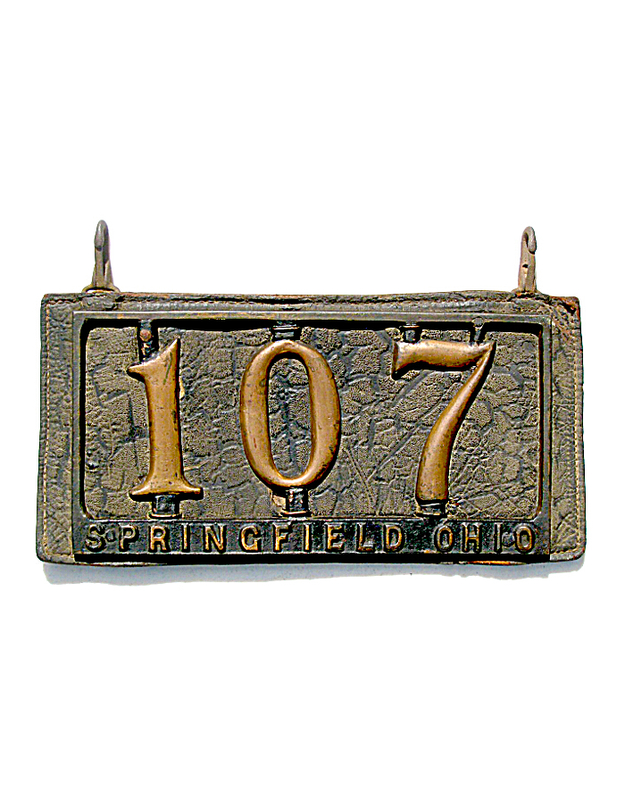 By 1909, however, display of the official state license was mandatory and local plates were declared obsolete. 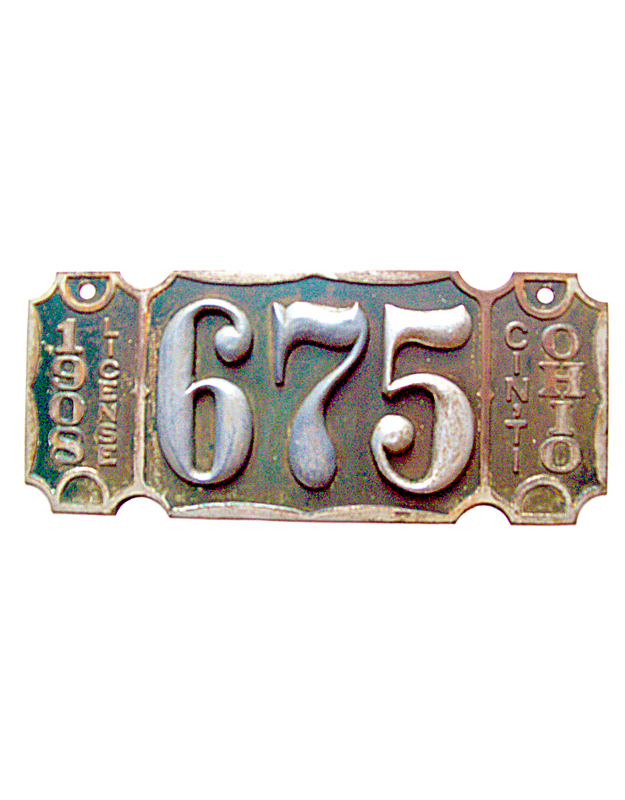 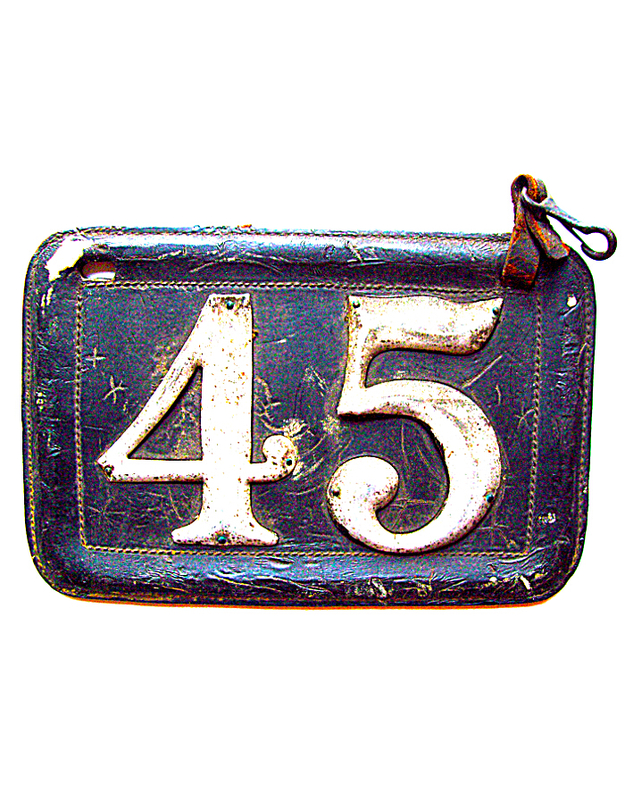 As stated elsewhere, Cleveland was possibly the first American city to require numbers on automobiles. 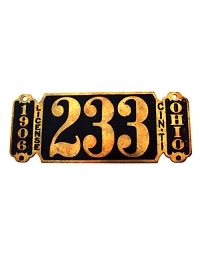 Starting in 1901, Cleveland motorists registered their machines with the city government and received a license number. 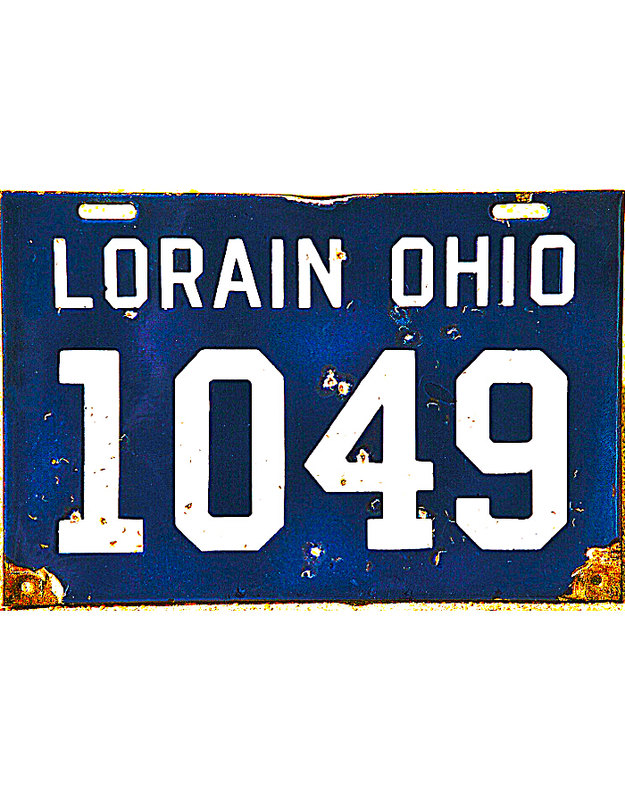 There was, however, no requirement that the name “Cleveland” appear on the owner-provided tags, so it is not possible to identify any tag as coming from Cleveland unless the paper registration is also present. 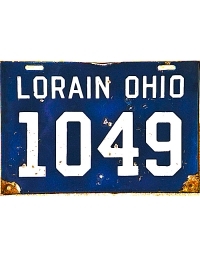 It is also known that Toledo required tags similar to Cleveland, but none can be verified. 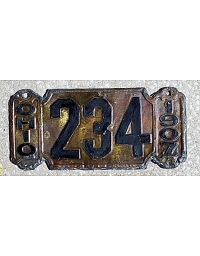 Cincinnati was two years behind Cleveland in requiring automobiles to be registered. Different from Cleveland, however, Cincinnati in 1903 mandated the display of the owner’s initials on the machine – a practice no doubt borrowed from New York State, which employed a similar means of identification in the years leading up to 1903. 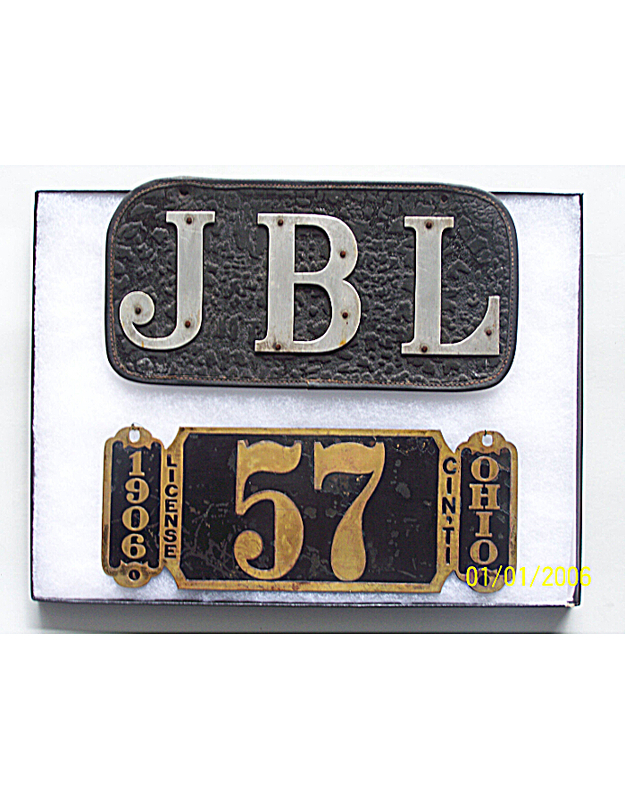 Like New York, Cincinnati motorists had to provide their own licenses, and most likely – as in New York – the system was abandoned at the end of 1905 due to fraudulent and duplicative use of initial letters. 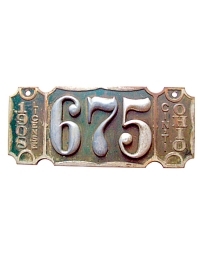 Cincinnati issued official license plates to its motorists in 1906, ’07 and ’08. 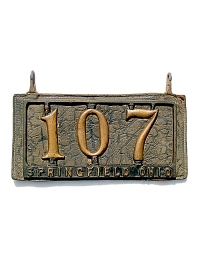 These were handsome stamped brass plates of beautiful and elaborate designs, and are among the most collectable of all the pre-state plates today. 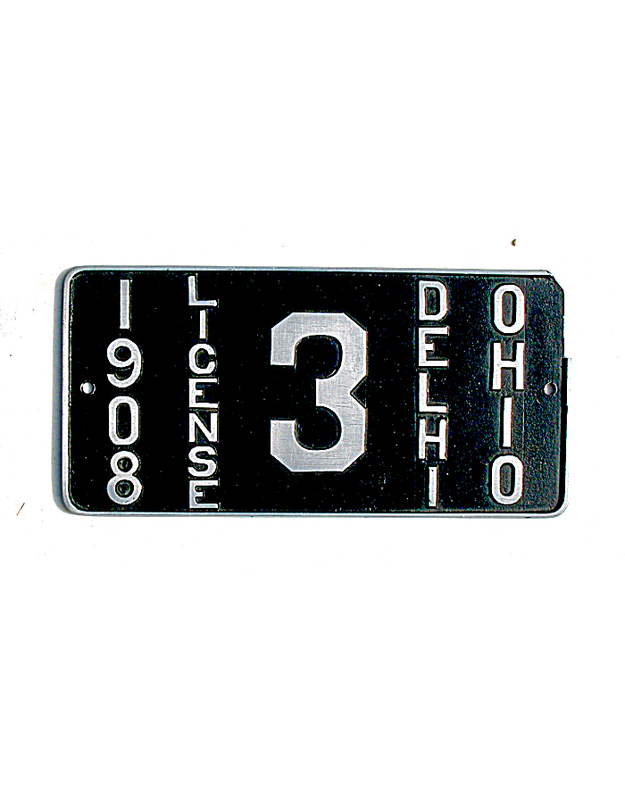 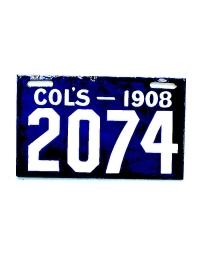 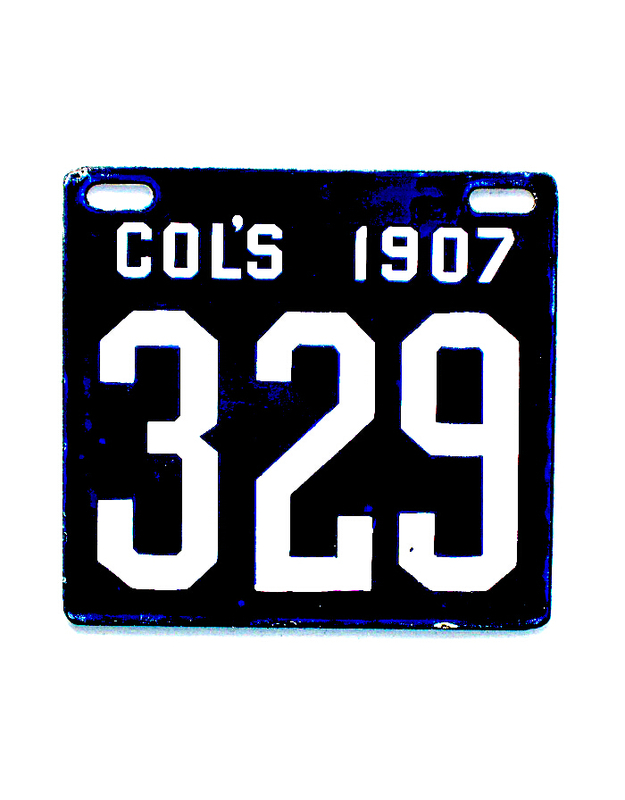 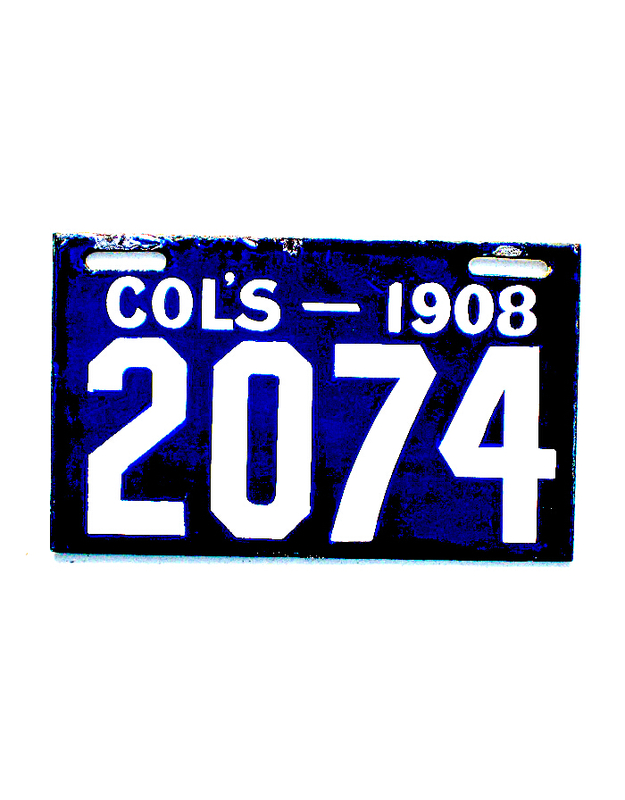 The capital city, Columbus, issued official license plates to its motorists in 1907 and 1908. 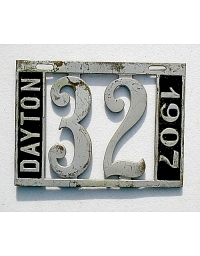 These were dated annual tags; porcelain enamel over steel. 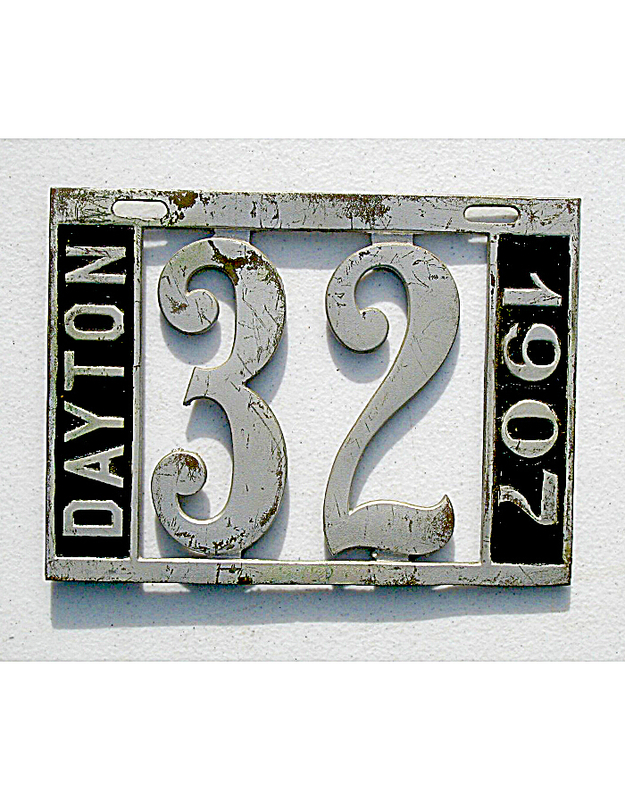 Dayton (1905 and 1907 known). Many of these are shown here.